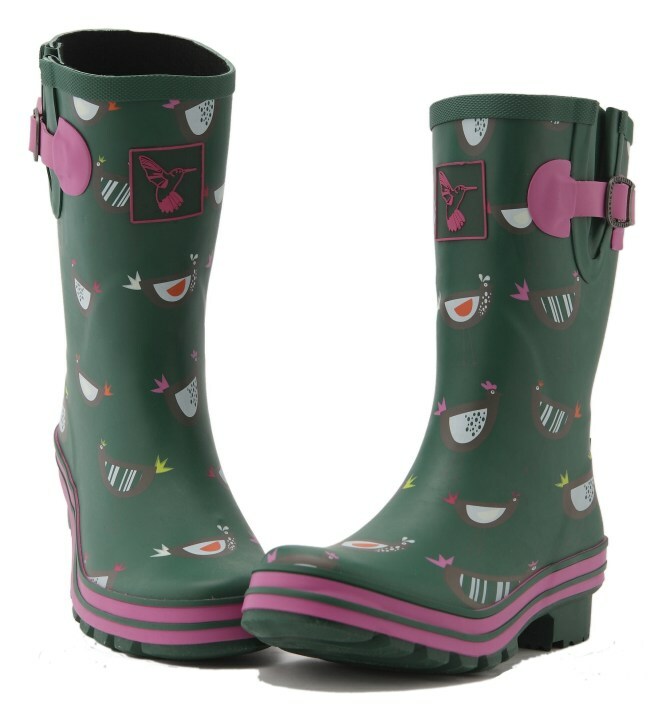 These Evercreature chicken design wellies are a must have for the winter, perfect rain boots or snow shoes. 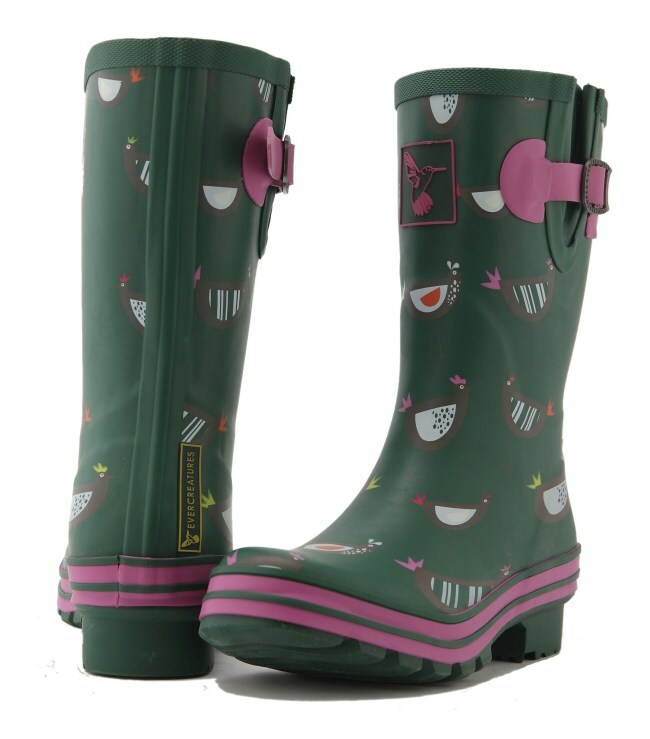 These can, however, be worn all year round as a festival wellington too in the summer! 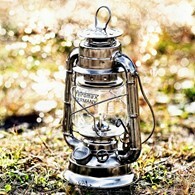 A brilliant gift idea no matter what the season. The wellys are sourced from natural rubber from trees which do not encroach on the precious rain forests and have a soft cotton lining which matches the design. The boots are mid-calf, they have a comfortable EVA moulded sole and can be extended at the sides and fixed with the designer branded buckle. 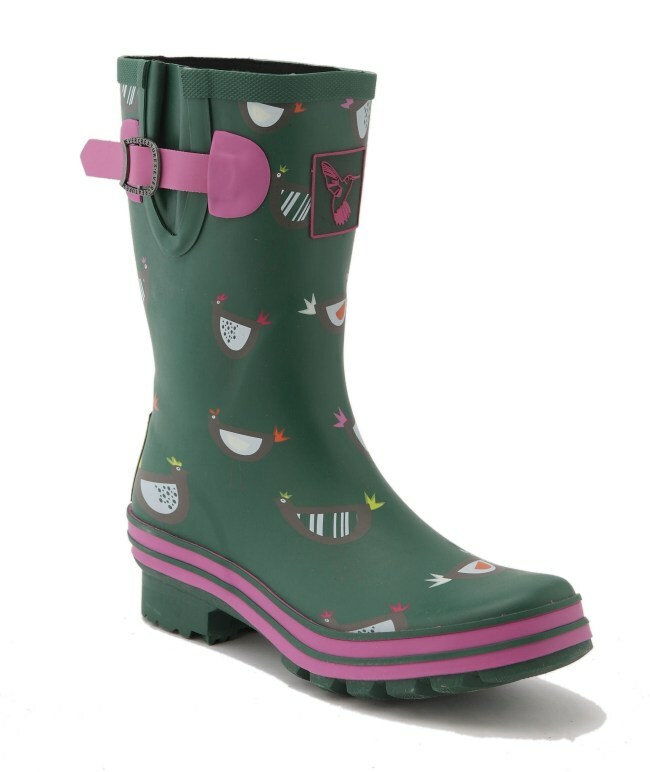 There are no reviews for Evercreatures Chicken Wellies Ladies Mid Calf Wellingtons.